(BPT) – If you’re planning to create an outdoor living space, advanced decking enables you to show off your creativity. For years, complex deck designs have been difficult to achieve with traditional lumber. But, with advances in today’s decking materials, you have the flexibility to create virtually any design to reflect your style. The possibilities of creating a bold deck design are only limited by your imagination. For example, did you love hopscotch while growing up? Build a hopscotch board into your deck. Maybe you are an avid musician; why not design your deck in a giant guitar shape? This may sound like a feature only Aquaman would use for his deck, but it is still relevant to those of us who live above the seafloor. Docks and marinas are frequently bombarded by weather, water and foot traffic that take their toll on the surface. Often, this weathering makes the surface an eyesore that doesn’t complement the beautiful scenery. “Dock surfaces tend to rot, warp and splinter after extended exposure to the sun, water, and elements, whereas high-performance composite boards will resist common issues found with traditional materials; even if they are fully submerged,” said Josh Landis, senior manager at MoistureShield. High-performance composite decking can be installed over water as a durable dock surface or even underwater as a boat launch or water access ramp for your lake house or oceanfront home. 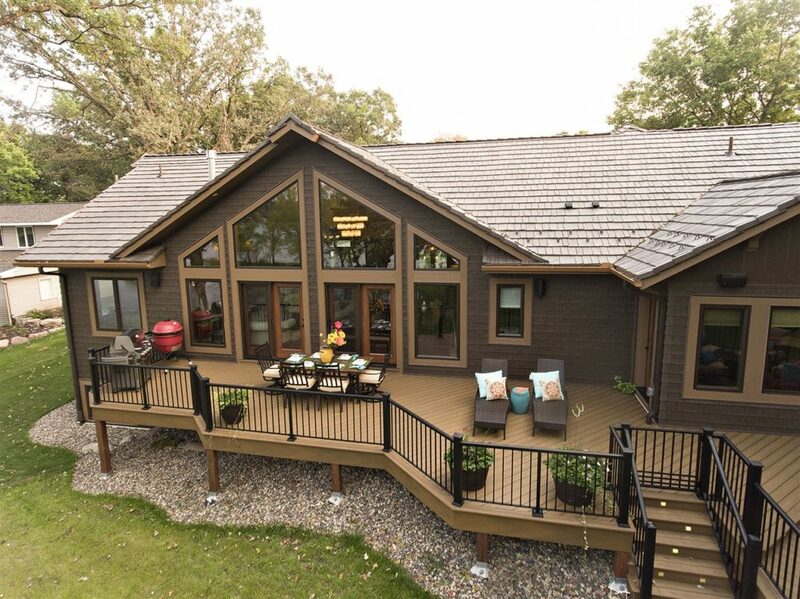 With the availability and features of advanced composite decking materials today, your design can be as unique and personalized as you want it to be. Whether you are considering building a new deck or renovating an existing one, you can create a design that is a reflection of your personality. Take a chance, build boldly.